256-Lombardia - Italia . The map belongs to the Atlas sive Cosmographicae Meditationes de Fabrica Mundi et Fabricati Figura, published in 1644 in Duisburg. 258-Brescia e Milano - Lombardia - Italia . The map belongs to the Atlas sive Cosmographicae Meditationes de Fabrica Mundi et Fabricati Figura, published in 1644 in Duisburg. 257-Lombardia e Veneto - Italia . 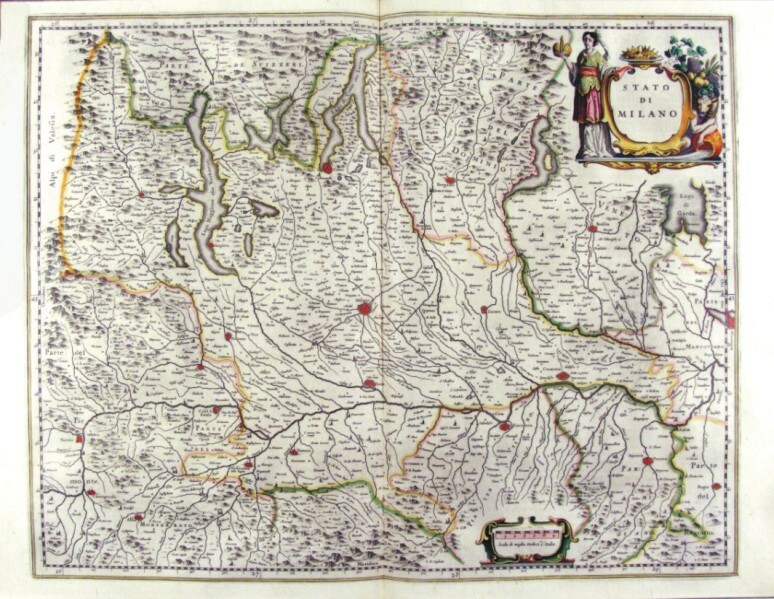 The map belongs to the Atlas sive Cosmographicae Meditationes de Fabrica Mundi et Fabricati Figura, published in 1644 in Duisburg. 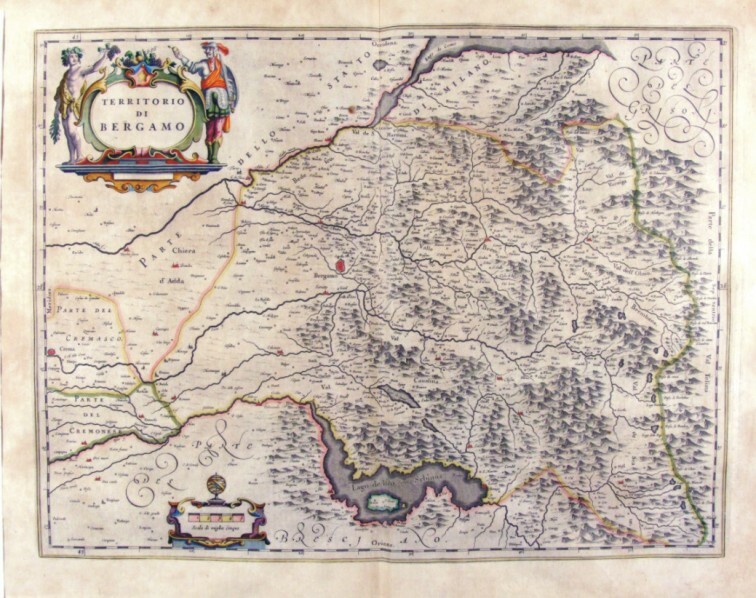 260-Territorio di Bergamo - Lombardia - Italia . 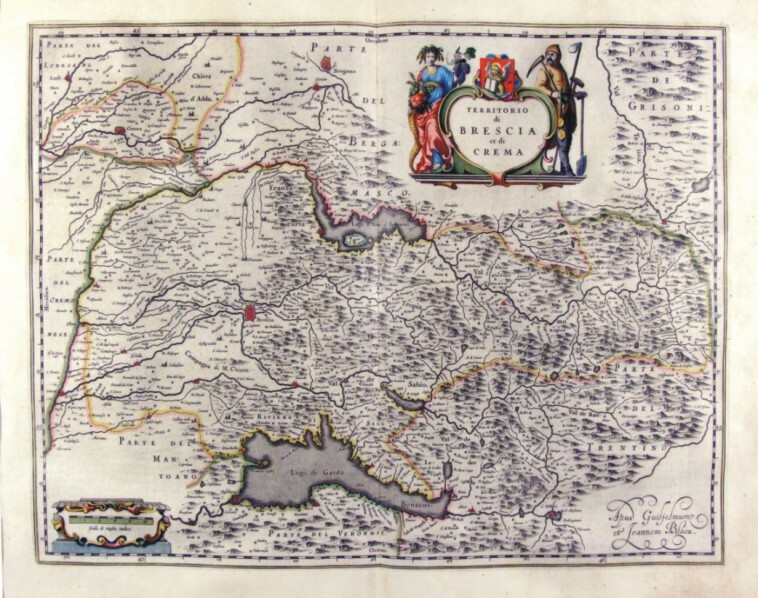 The map measures 50 x 38 cm and belongs to the atlas Theatrum Orbis Terrarum sive Atlas Novus - pars tertia - Guilelmus et Ioannis Blaeu, printed in 1650 in the Blaeu's family workshop in Amsterdam. 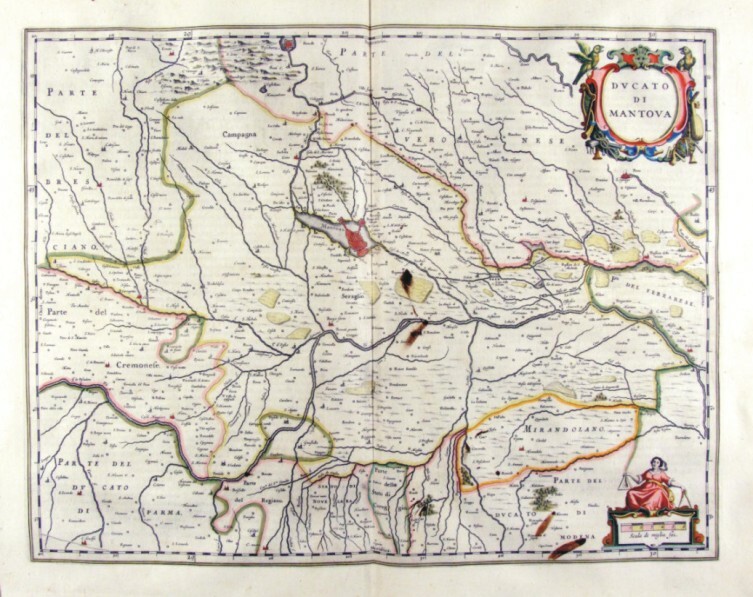 261-Territorio di Pavia, Lodi, Novarra, Tortona e Alessandria - Lombardia - Italia . 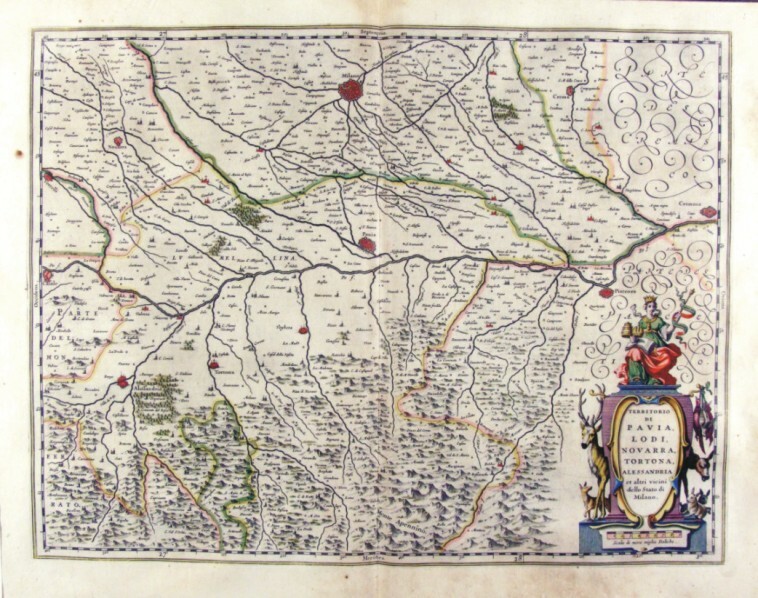 The Charter, to what extent 50.5 x 38,5 cm is located in the Atlas Theatrum Orbis Terrarum sive Atlas Novus is tertia pars of Guilelmus et Ioannis Blaeu, printed in Amsterdam in the workshop of Giovanni Blaeu in 1650. 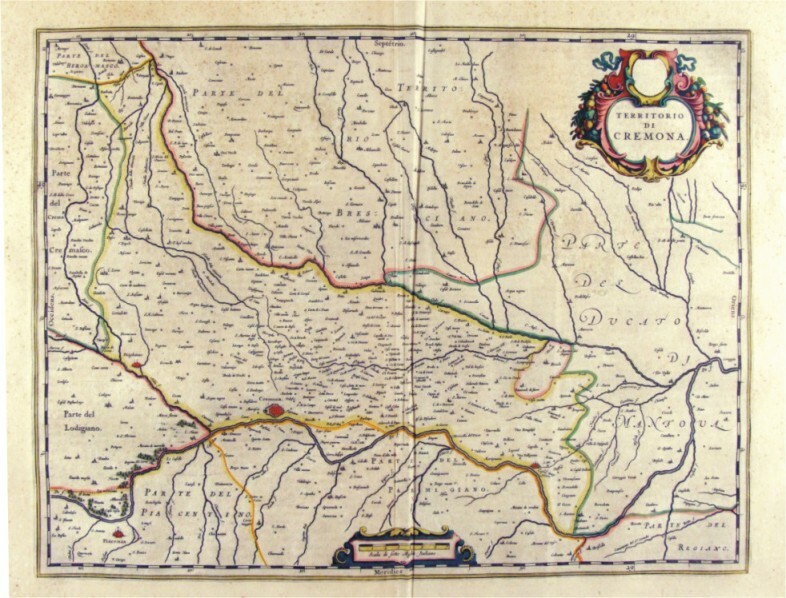 The card offers the Po Valley from Casale in Cremona. 263-Ducato ovvero Territorio di Milano - Lombardia - Italia . The Charter, to what extent 50.5 x 38,5 cm is located in the Atlas Theatrum Orbis Terrarum sive Atlas Novus-tertia pars of Guilelmus et Ioannis Blaeu, printed in Amsterdam in the workshop of Giovanni Blaeu in 1650. The Charter represents Milan and its territory and is adorned by two Scrolls one of which contains the title and the other the biscione. 264-Parte Alpestre dello Stato di Milano - Lombardia - Italia . The Charter, to what extent 50.5 x 38,5 cm is located in the Atlas Theatrum Orbis Terrarum sive Atlas Novus-tertia pars of Guilelmus et Ioannis Blaeu, printed in Amsterdam in the workshop of Giovanni Blaeu in 1650. 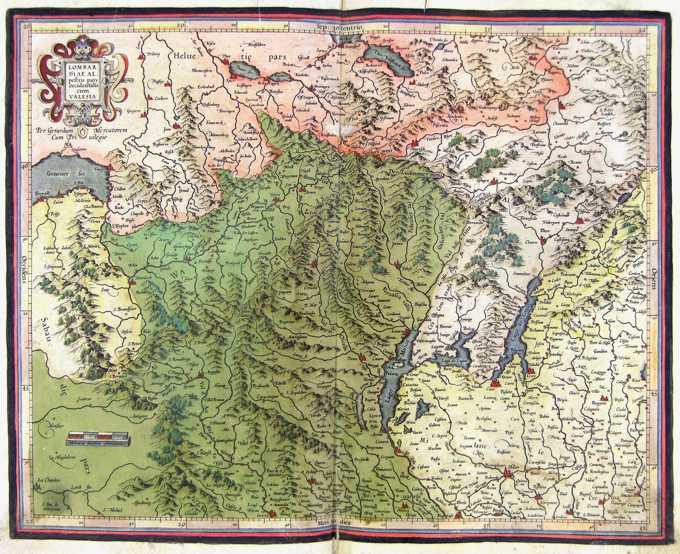 The Charter represents the Northern Lombardy with the Alps and lakes. 265-Territorio di Cremona - Lombardia - Italia . 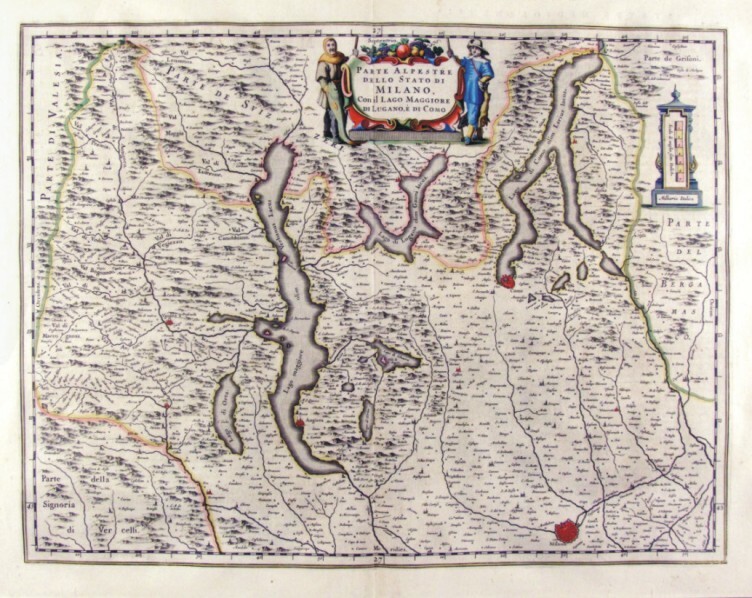 The Charter, that measure cm 50 x 38 is located in the Atlas Theatrum Orbis Terrarum sive Atlas Novus-tertia pars of Guilelmus et Ioannis Blaeu, printed in Amsterdam in the workshop of Giovanni Blaeu in 1650. 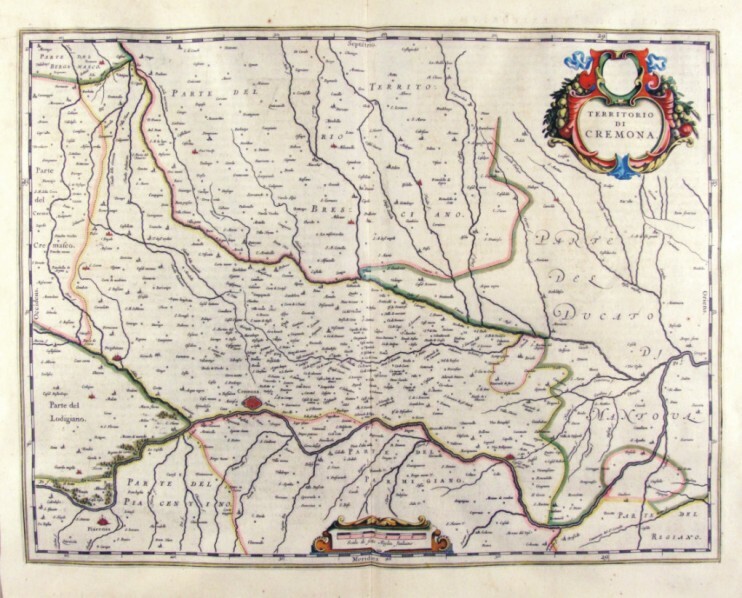 The card offers the Po Valley in the area of Cremona that extends from the Lodgiano to Duchy of Mantovena with a part of the Duchy of Mantova. 266-Ducato di Mantova - Lombardia - Italia . 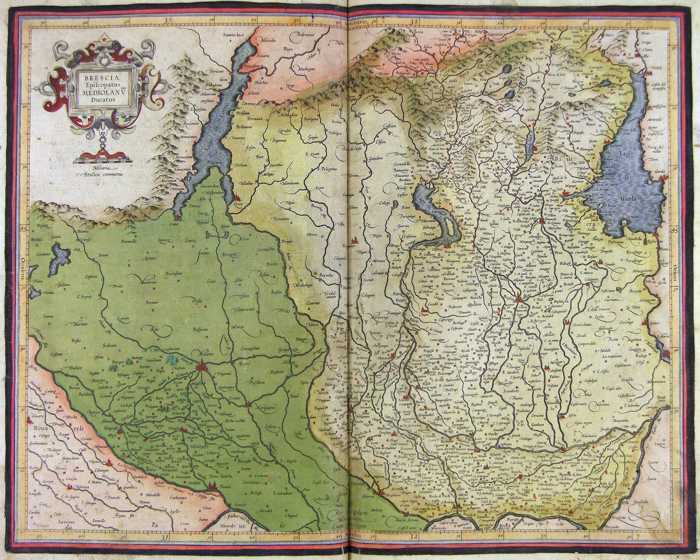 The Charter, that measure cm 49 x 38 is located in the Atlas Theatrum Orbis Terrarum sive Atlas Novus-tertia pars of Guilelmus et Ioannis Blaeu, printed in Amsterdam in the workshop of Giovanni Blaeu in 1650. The card offers the Po Valley in the area of Mantova until Ferrarese. 267-Territorio di Cremona - Lombardia - Italia . 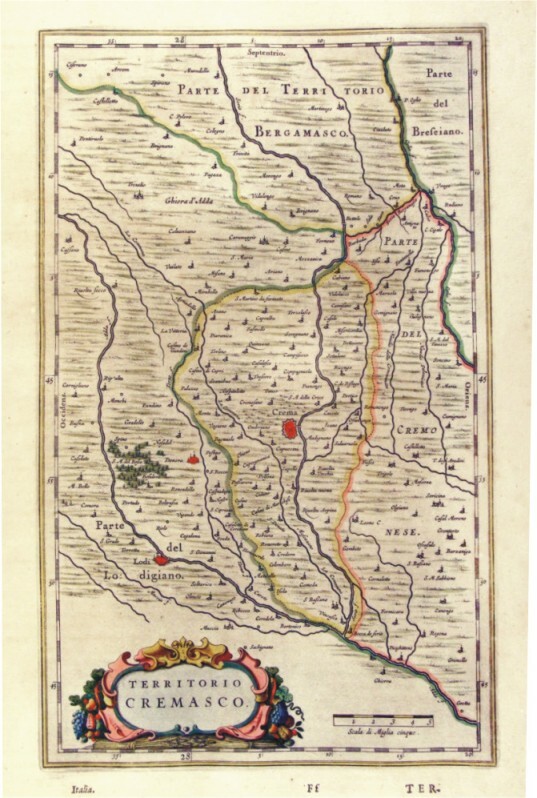 The Charter, to what extent in 38 x 23.4 cm drawing is contained in the Atlas Geographiae Blavianae volumen octavum Quo Italy quae est Europae Liber XVI of Blaeu printed in Amsterdam in 1662. 268-Stato di Milano - Lombardia - Italia . 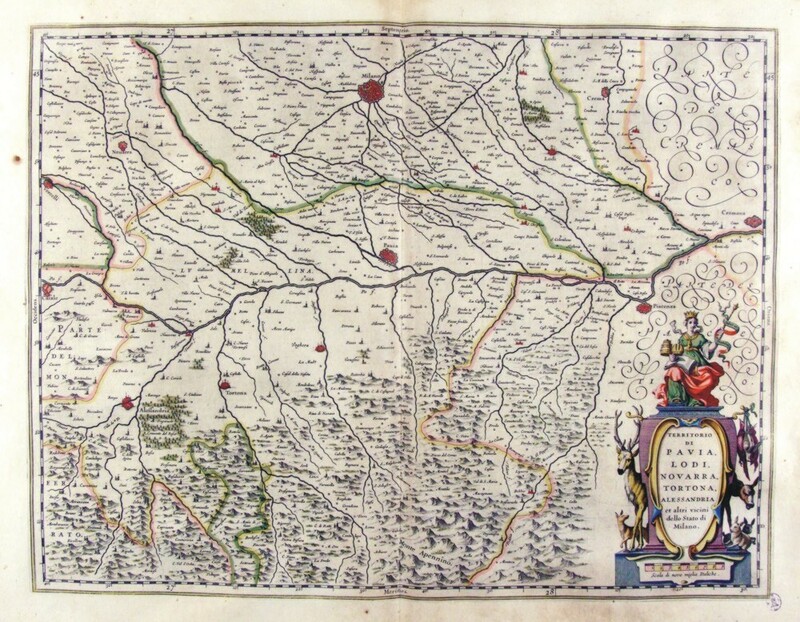 The Charter, which measures in the drawing cm 52 x 41.5 is contained in the Atlas Geographiae Blavianae volumen octavum Quo Italy quae est Europae Liber XVI of Blaeu printed in Amsterdam in 1662. The Charter, whose title is contained in a lable place above right, decorated with figures rappresennati abundance of agricultural products, offers the Lombardy Alps, lakes and southern Switzerland. 270-Territorio di Pavia, Lodi, Novarra, Tortona e Alessandria - Lombardia - Italia . 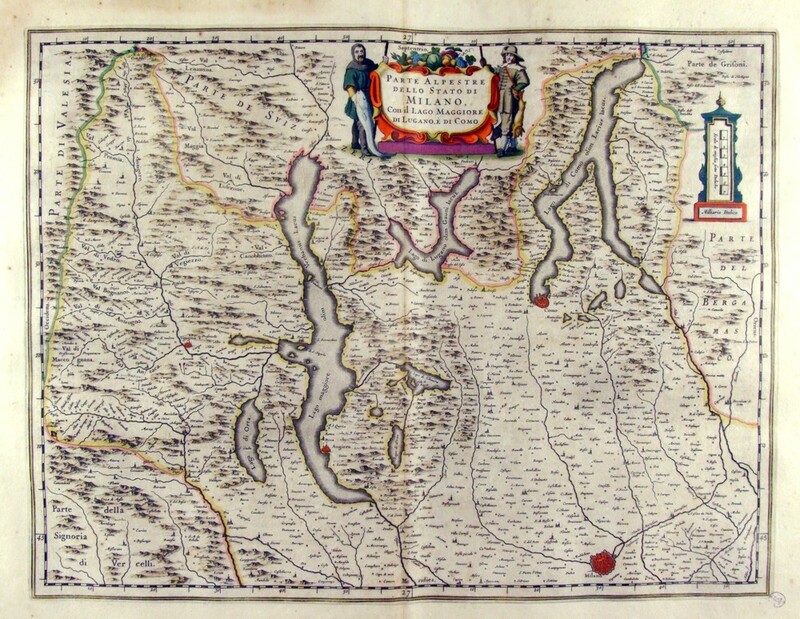 The Charter, which measures in the drawing 50.2 x 38,5 cm is contained in the Atlas Geographiae Blavianae volumen octavum Quo Italy quae est Europae Liber XVI of Blaeu printed in Amsterdam in 1662. The card offers the Po Valley from Casale in Cremona with Milan top and Alexandria in the lower right. The paper is crossed by the river Po and its tributaries and is decorated according to the right by a scroll bearing the title. 272-Ducato di Mantova - Lombardia - Italia . 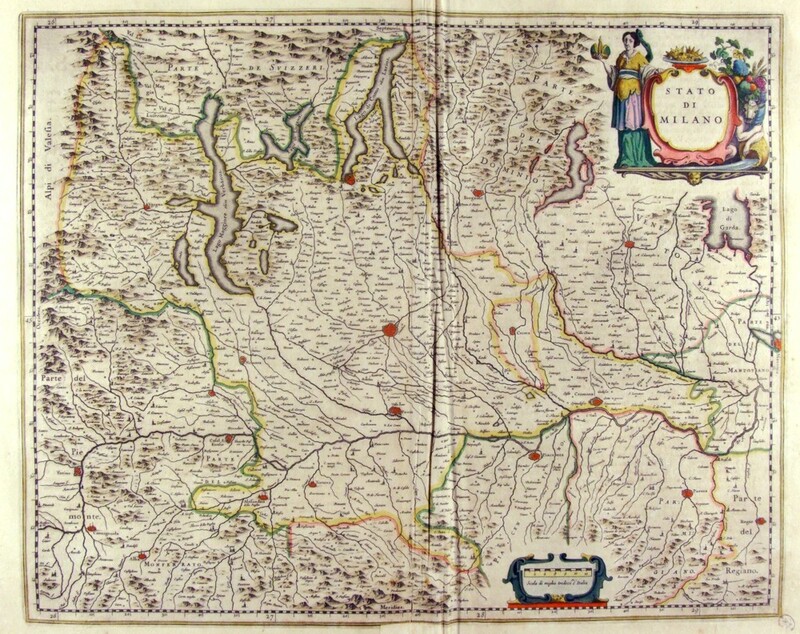 The Charter, which measures in cm 50 x 38.5 drawing is contained in the Atlas Geographiae Blavianae volumen octavum Quo Italy quae est Europae Liber XVI of Blaeu printed in Amsterdam in 1662. 273-Territorio di Bergamo - Lombardia - Italia . 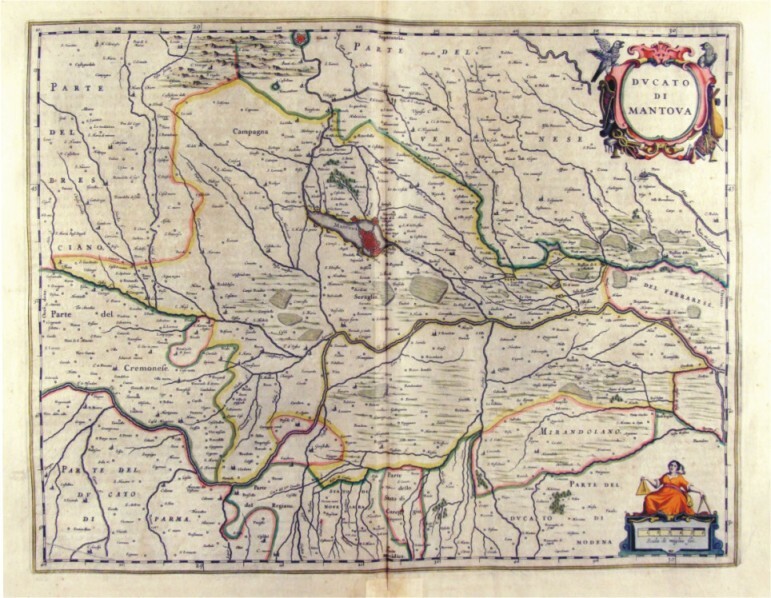 The Charter, which measures in cm 50 x 38.5 drawing is contained in the Atlas Geographiae Blavianae volumen octavum Quo Italy quae est Europae Liber XVI of Blaeu printed in Amsterdam in 1662. 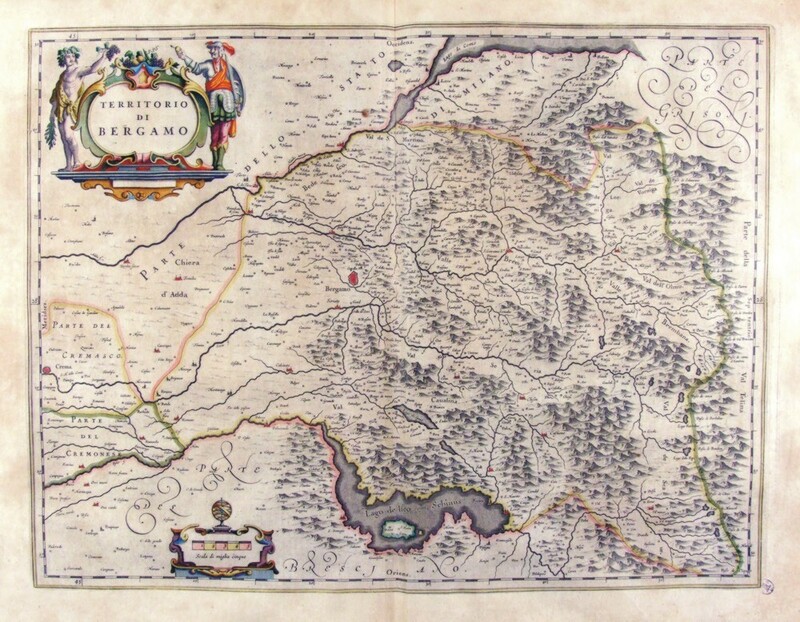 274-Territorio di Brescia et di Crema - Lombardia - Italia . 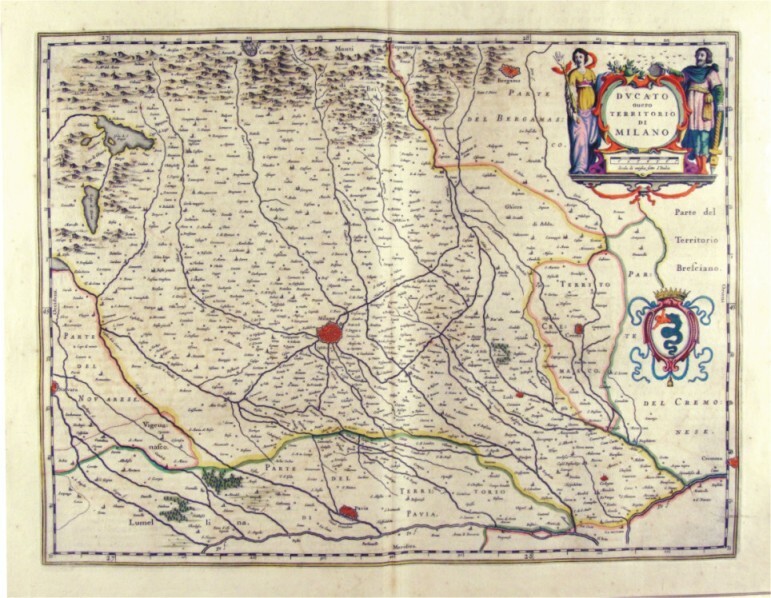 The Charter, which measures in cm 50 x 38.5 drawing is contained in the Atlas Geographiae Blavianae volumen octavum Quo Italy quae est Europae Liber XVI of Blaeu printed in Amsterdam in 1662.